Sometimes, you don’t want to go all the way to the local Mandeville, LA, car wash to clean your Porsche 911 Turbo. You just want to do it at home, so you can get it over and done with. But did you know there’s a right and wrong way for you to wash your car? Check out these car-washing tips to get a better understanding of how to get your car as clean as possible. Once you implement those steps, your ride is going to be sparkling clean and looking great. The best way to wash your Porsche 911 Turbo yourself is to start at the top of the vehicle. Why is that? Well, dirt and grime are going to wash down from the top of your car to the bottom. If you start at the bottom, that part is just going to get dirty again. The last thing you want is to have to go back and re-do all the work you just did, so just remember to start at the top. Then, you can finish up quickly and efficiently. If you’re like most people in Mandeville, LA, you probably think it’s best to use dishwashing detergent to wash your vehicle. However, that’s going to cause you a lot of problems if you do it too much. Since dishwashing detergent is for cleaning dirty dishes, it’s going to cut through the wax on your car. Unless you are trying to take off the wax to apply new wax, it’s best to skip the detergent and get soap that’s just for vehicles. Whether you’re using a sponge, a towel, or any other tool to wash your car, you definitely don’t want to put it on the ground. The little bits of dirt and debris on the ground will then stick to your cleaning device that will, in turn, make your car even dirtier. This is a mistake that can cost you a lot of time, so if you want to finish washing your Porsche 911 Turbo quickly, make sure not to do this. Need more car care tips? 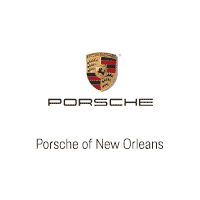 Pay us a visit at Ray Brandt Porsche near Mandeville, LA, and you can speak to an expert about how to care for your vehicle.